While monitoring the retreat of the Teardrop Glacier in the Canadian Arctic, scientists have found that recently unfrozen plants, some of which had been under ice since the reign of Henry VIII, were capable of new growth. 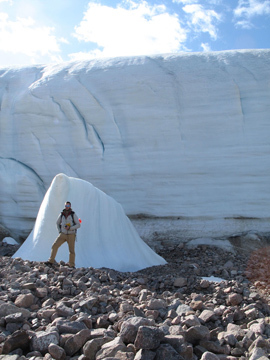 While in the field, the researchers from the University of Alberta discovered that the receding ice–which has doubled from 2 meters per year in the 1990s to 4.1 meters per year in 2009–had uncovered lots of mosses and other non-vascular plants, including more than 60 plant species. Upon careful examination, the scientists were impressed by how well preserved the delicate bodies were; the stems and leaf structures were perfectly intact, although some of them were only one-cell layer think. Using radiocarbon dating, they determined that those plants have been frozen for 500 years since the Little Ice Age when the glacier was at its maximum. The most surprising thing, however, was that many of the plants were showing signs of life: they had green tips and fresh off-shoots, even though they have only been ice-free for less than a year and were just a few centimeters away from the glacier margin. In vitro culture of Aulacomnium turgidum regenerated from emergent Little Ice Age population beneath the Tear Drop Glacier, Sverdrup Pass, Ellesmere Island, Nunavut. Credit: Image courtesy of Catherine La Farge. That and all other publications since then, presumed that the emergent vegetation was dead. Now for the first time, researchers realized that at least part of that re-growth is coming from the Ice Age plants themselves. “This is an important distinction,” explains the lead scientist Dr. Catherine La Farge from University of Alberta. Emergent population of Aulacomnium turgidum from beneath the Tear Drop Glacier, Sverdrup Pass, Ellesmere Island, Nunavut. Credit: Image courtesy of Catherine La Farge. To confirm their observations in the field, the team of scientists collected samples of these recently uncovered plants and grew them in the lab under careful monitoring. 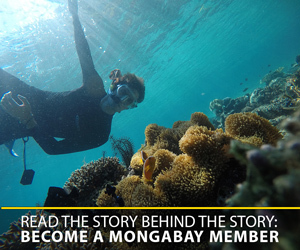 The results were unprecedented: a third of the plants re-grew! The discovery was reported in the prestigious journal Proceeding of the National Academy of Sciences (PNAS) this week. The second important finding about this scientific discovery is that the plant cells grown in the lab acted as stem cells: they were capable of regenerating the entire plant regardless of which part of the body did the original cell come from. This capability is known as totipotency. 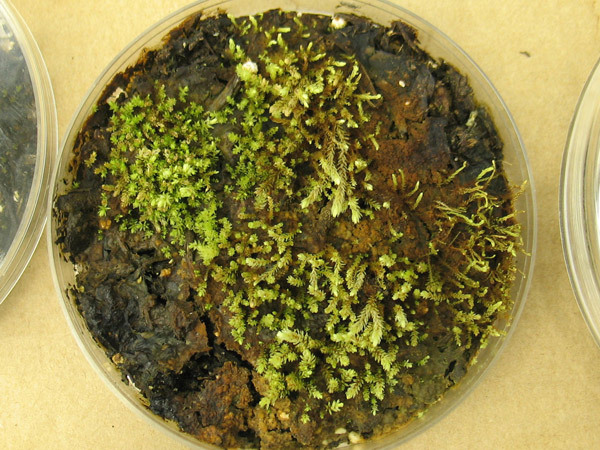 Spontaneous plant regeneration from a few viable cells is well-known in mosses. But until now it had never been observed in 500 year old specimens. These results demonstrate that plants buried by ice hundreds of years can remain dormant and serve as an unrecognized genetic reservoir on recently uncovered land, concludes Dr La Farge. CITATIONS: La Farge C, Williams KH, England JH “Regeneration of Little Ice Age bryophytes emerging from a polar glacier with implications of totipotency in extreme environments” PNAS. 2013. Falconer G (1966) Preservation of vegetation and patterned ground under thin ice body in northern Baffin Island, N.W.T. Geogr Bull 8(2):194–200. Could the Tasmanian tiger be hiding out in New Guinea? (05/20/2013) Many people still believe the Tasmanian tiger (Thylacinus cynocephalus) survives in the wilds of Tasmania, even though the species was declared extinct over eighty years ago. Sightings and reports of the elusive carnivorous marsupial, which was the top predator on the island, pop-up almost as frequently as those of Bigfoot in North America, but to date no definitive evidence has emerged of its survival. Yet, a noted cryptozoologist (one who searches for hidden animals), Dr. Karl Shuker, wrote recently that tiger hunters should perhaps turn their attention to a different island: New Guinea. (04/15/2013) The biodiversity of Europe today is largely linked to environmental conditions decades ago, according to a new large-scale study in the Proceedings of the National Academy of Sciences (PNAS). Looking at various social and economic conditions from the last hundred years, scientists found that today’s European species were closely aligned to environmental impacts on the continent from 1900 and 1950 instead of more recent times. The findings imply that scientists may be underestimating the total decline in global biodiversity, while future generations will inherit a natural world of our making. How many animals do we need to keep extinction at bay? (04/15/2013) How many animal individuals are needed to ensure a species isn’t doomed to extinction even with our best conservation efforts? While no one knows exactly, scientists have created complex models to attempt an answer. They call this important threshold the “minimum viable population” and have spilled plenty of ink trying to decipher estimates, many of which fall in the thousands. However, a new study in Conservation Biology shows that some long-lived animals may not need so many individuals to retain a stable population. (03/18/2013) Australian scientists have produced cloned embryos of an extinct species of frog known for its strange reproductive behavior, reports the University of New South Wales. (12/26/2012) Thousands of species were described for the first time by scientists in 2012. Some of these were ‘cryptic species’ that were identified after genetic analysis distinguished them from closely related species, while others were totally novel. Either way, here are some of the “new species” highlights from 2012. (11/14/2012) While new species are discovered every day, Peter Vršanský and company’s discovery of a light-producing cockroach, Lucihormetica luckae, in Ecuador is remarkable for many reasons, not the least that it may already be extinct. The new species represents the only known case of mimicry by bioluminescence in a land animal. Like a venomless king snake beating its tail to copy the unmistakable warning of a rattlesnake, Lucihormetica luckae’s bioluminescent patterns are nearly identical to the poisonous click beetle, with which it shares (or shared) its habitat. (09/12/2012) In a massive, wildlife-rich, and largely unexplored rainforest of the Democratic Republic of the Congo (DRC), researchers have made an astounding discovery: a new monkey species, known to locals as the ‘lesula’. The new primate, which is described in a paper in the open access PLoS ONE journal, was first noticed by scientist and explorer, John Hart, in 2007. John, along with his wife Terese, run the TL2 project, so named for its aim to create a park within three river systems: the Tshuapa, Lomami and the Lualaba (i.e. TL2), a region home to bonobos, okapi, forest elephants, Congo peacock, as well as the newly-described lesula. (06/29/2012) With the death of Lonesome George, the world lost the last member of a subspecies and Ecuador its greatest symbol of the Galapagos Islands, but Fausto Llerena lost his best friend.